We hear it all the time … “My dog is great so we don’t need training.” But most dogs with behavioral issues don’t start out that way. Triggers can come in the form of a specific event – a scuffle at the dog park or a near hit from a kid on a skateboard that leaves your dog scared – but more often than not, behavioral issues stem simply from boredom! A dog owner’s relationship with their dog is just that; a relationship. And like any relationship, it’s ever-changing. Many humans forget that there’s a need to continue nurturing the bond they have with their dog and one of the best ways to do so is to participate in a brain-engaging activity together. 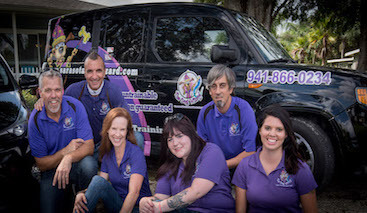 Sarasota Dog Wizard’s Group Classes are a great option for the well-behaved dog. It doesn’t matter that your dog may mostly know the sit command already or that he sometimes comes when called. Participating in a group class reaffirms to your dog that they are working for you. 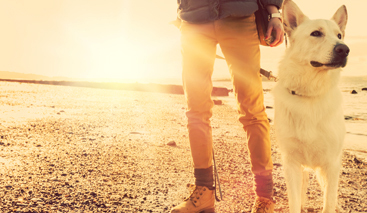 Practicing obedience regularly allows your dog to look to you for direction and leadership. 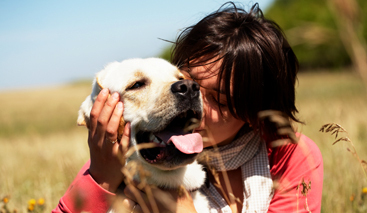 We know this continued work is imperative to your dog’s long-term happiness. That’s why if you’re a graduate of one of our private lesson or board and train programs, you also get unlimited group obedience class for the rest of your dog’s life! Whether you focus on obedience or participate in a fun activity such as agility training or fly ball, Sarasota Dog Wizard trainers highly recommend you provide even well behaved dogs a brain-engaging activity.